BY REGISTERING FOR AN INSTANT WILD ACCOUNT YOU AGREE TO THESE TERMS WHICH WILL BIND YOU. 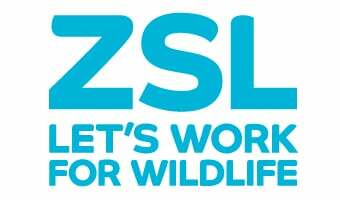 We, the Zoological Society of London (ZSL) of Regent’s Park, London, NW1 4RY license you to use the Instant Wild mobile application software (App) and website and any updates or supplements to it as permitted in these terms. One Signal. We use a third party plugin provided by One Signal to allow you to follow projects and to send push notifications if you have allowed Instant Wild to communicate with you in this way. No personally identifiable information is provided by us to One Signal, an ID number is created to represent you and the only other information collected by One Signal is your device, operating system and language. The ways in which you can use the App and Documentation may also be controlled by Apple’s rules and policies if you are an iPhone User, and the Google Play Store’s rules and policies if you are an Android user. Support. If you want to learn more about the App please visit our About page. Contacting us (including with complaints). If you have any problems or wish to contact us for any other reason please email our customer service team at info@instantwild.org. download or stream a copy of the App onto your device(s) and view, use and display the App and the Service on your device(s) for your personal purposes only. So that Instant Wild is compliant with data protection laws, users must be 16 or older to create an account. If you are under 16 you can still use Instant Wild as a guest user, which allows you to contribute to conservation without sharing any personal data. We will give you at least 30 days’ notice of any change by notifying you of a change when you next start the App or visit the website. If you do not accept the notified changes you should not continue to use the App and the Service. All intellectual property rights in the website, App, the Documentation and the Services throughout the world belong to us or our licensors and the rights in the website, App and the Services are licensed (not sold) to you. You have no intellectual property rights in, or to, the App, the Documentation or the Services other than the right to use them in accordance with these terms. We will not tolerate personal attacks, harassment or anything of a sexist, racist, or homophobic nature. Anything that could be deemed offensive or libellous will be removed and, may result in the immediate and permanent restriction of your account. Comments or discussions written intentionally to provoke or offend will also be removed. We want to make sure Instant Wild is a safe and pleasant place for everyone, so don’t use offensive or rude language. Please keep it clean and appropriate. A profanity filter is in place to prevent comments including swearwords from being automatically posted, these will then be deleted. Comment deemed to be solely promotional in nature will be deleted. Any comments containing links will automatically go for moderation before being posted. Anything that contains only a link to your blog, a product, or similar site will almost always be deleted. Including a link to relevant content is permitted, but will have to go through moderation. If you see an issue or a user behaving inappropriately contact us on info@instantwild.org if possible or flag any comments for review. We may use ‘cookies’ to enhance your experience of Instant Wild. Cookies mean that the Instant Wild App will remember you for a particular purpose and for a particular length of time. To see our cookies policy, please click here. We may delete your Instant Wild account at any time by contacting you if you have broken these terms in a serious way. If what you have done can be put right we will give you a reasonable opportunity to do so.